Charlebois Farm provides exceptional training for the serious rider in a safe, family-oriented and professional environment. Under the instruction of owner and trainer John Charlebois, our riders and horses are successful at regional and national "A" rated hunter/jumper shows. 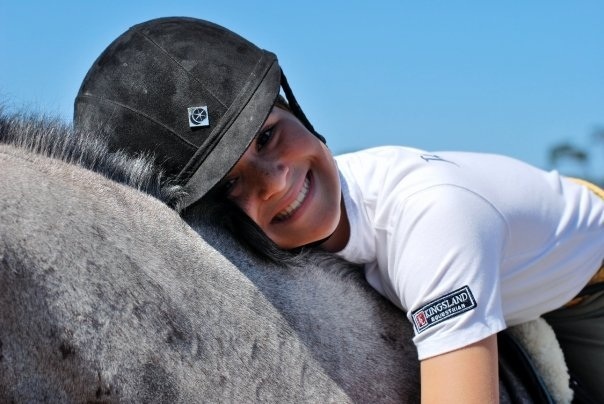 We offer personalized and targeted training programs from novice riders to the most advanced levels. Regardless of your riding ability, Charlebois Farm strives to deliver excellence in instruction, grooming and care. Each program is fine-tuned to best fit each horse and rider. 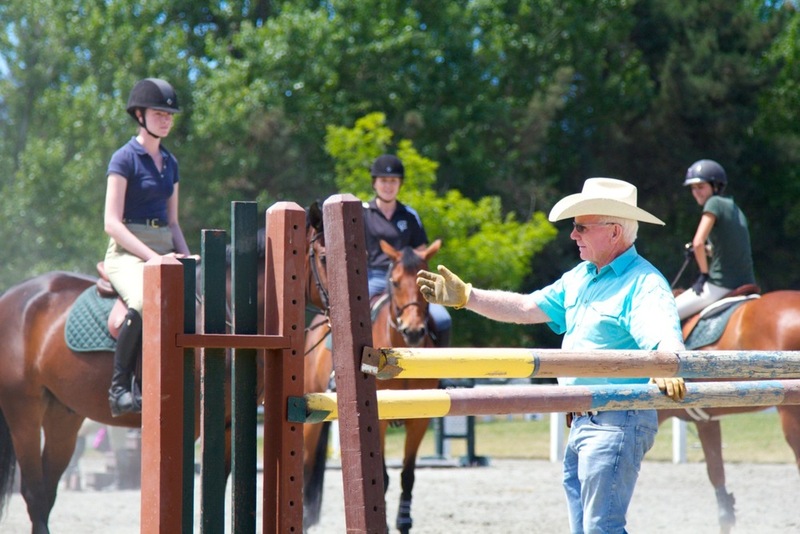 Lessons are private or semi-private with riders of similar ability. Riders are encouraged to ride in small groups at least once a week to better learn from their peers and encourage a supportive, uplifting and fun learning environment. Should you cancel a lesson, leave town, or be unable to ride, we will ensure your horse is ridden and maintained on his/her respective training program. John oversees and keeps records of all aspects of our horse care. At Charlebois Farm we pride ourselves on the quality of our horsemanship. Each horse is given appropriate nutrition, exercise, grooming, training, and leisure time designed to best meet each horses’ needs. Our horses have daily turn-outs and schooling as needed for maximum health and performance. This personal care and attention is what makes Charlebois Farm a truly unique facility. Our goal is to have the happiest and healthiest horses possible. “My horses are my business partners. That’s why it’s so important to me to keep them healthy, and most importantly happy—I want them to love their jobs as much as I love mine!” –John C.
Our Horse Treadmill is also a central part of each horse’s training program. 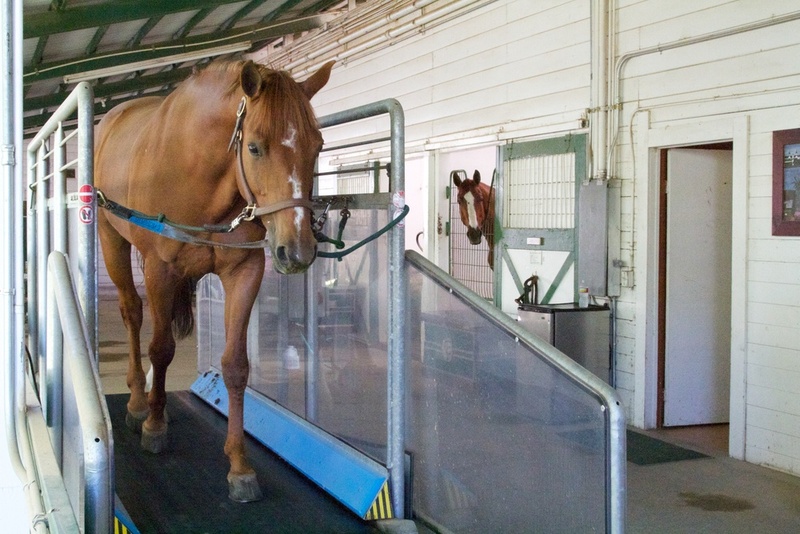 This treadmill has been paramount for the fitness and mental health of our horses. They each have daily interval-incline training on the treadmill at a brisk walk to condition their muscles, strength, and stamina. This tool is also very useful in the wintertime with fresh horses, and for older horses who don’t need to be ridden each day. Our horses love their time on the treadmill, and seem to find it mentally relaxing and therapeutic. Horses walk off the treadmill with an elevated heart rate, good oxygen flow in their muscles, and a relaxed, happy state of mind. Looking to start your son or daughter riding? Or maybe you just want to get back into it yourself? Here at Charlebois Farm, our team of instructors has the patience and the experience to make your lesson a productive learning experience. 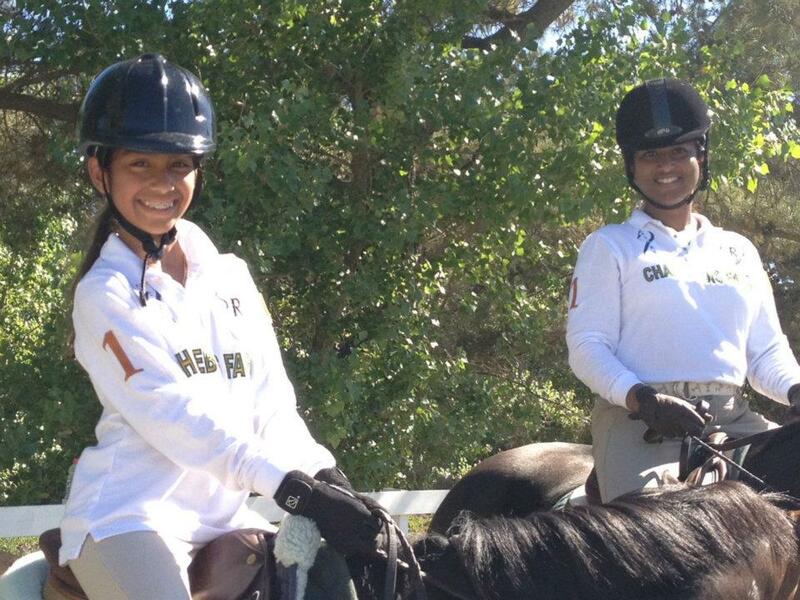 We specialize in guiding dedicated equestrians to reaching their riding goals. Charlebois Farm can help you take your riding to the next level! We also offer special leasing opportunities. Leasing a horse can help reduce the cost of riding and provides the equestrian with a great learning advantage. 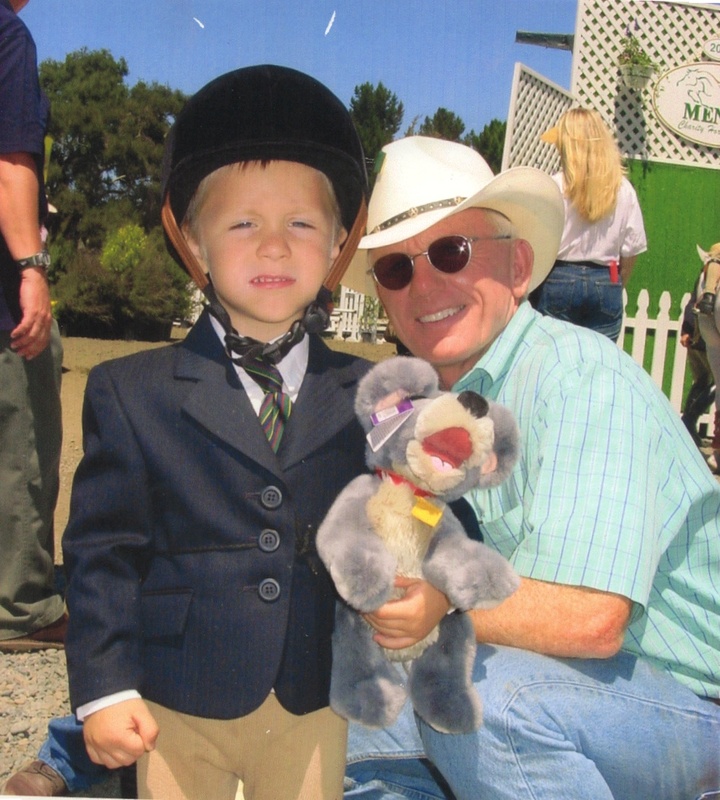 Leasing a horse or pony also provides the opportunity to attend horse shows and compete amongst your equestrian peers.